Goal? 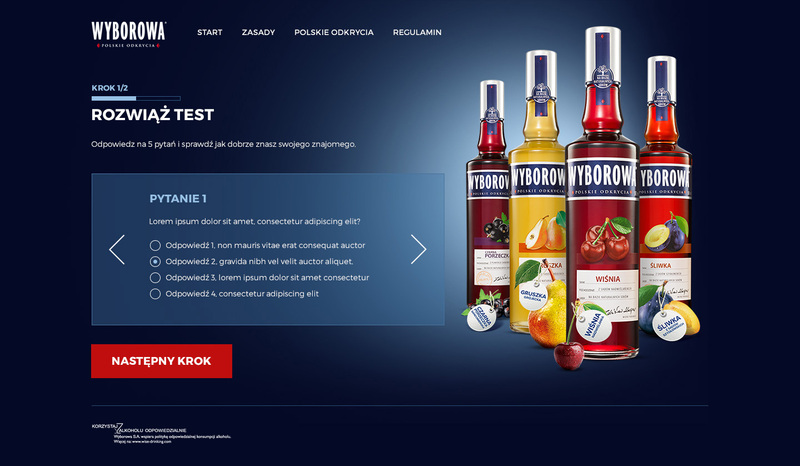 Let consumers of Wyborowa discover 4 new flavours by creating activation in digital. Deadline? 3 weeks. Can we do this? Challenge accepted! 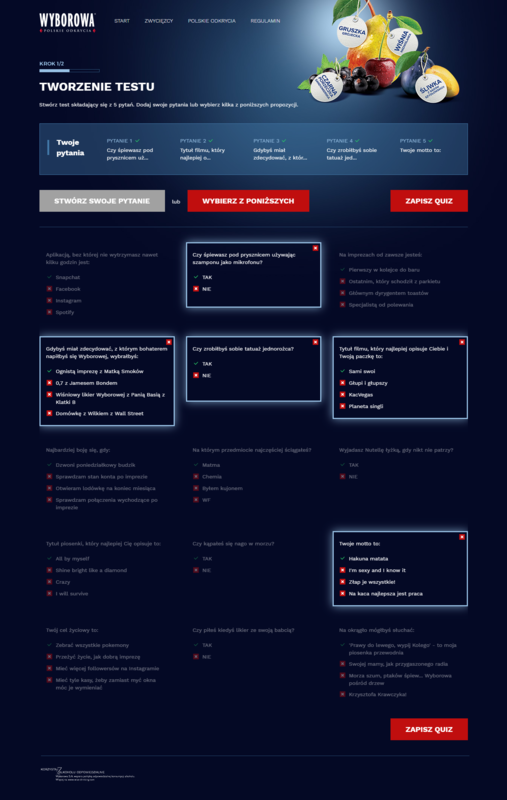 We created dedicated platform with a big contest where each user could create a short quiz about themselves and send it to their friends to find out how well do they know them. Shortly speaking: you could ask some really funny questions and see who is your real friend! 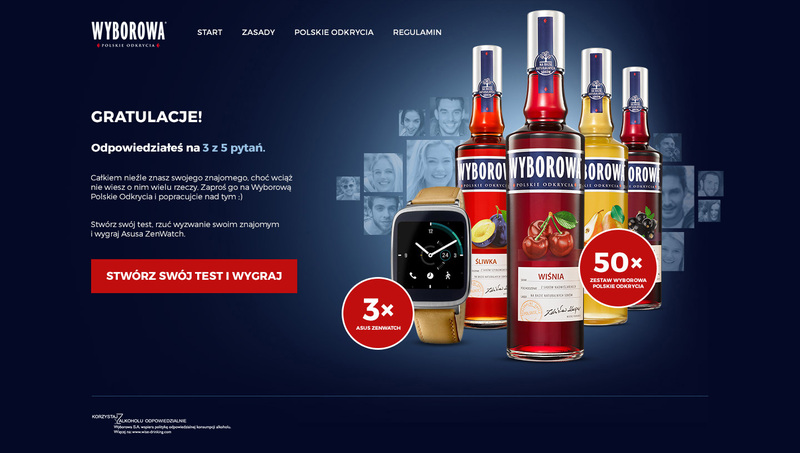 Moreover, you and your friend could win smartwatch and a lot of Wyborowa 😉 Fair enough! Result? Over 1000 unique applications, quizzes solved more than 3400 times and we observed more than 27 000 website views in less than 3 weeks!